A two-fer promotional effort is seen here as Must Haves Shopping List On Macy’s Online. First the Must Haves list is shown off in-store for you to see in the flesh. But look close to see the “More fashion available at Macys.com/MustHaves” footnote. A nice combination of virtual and bricks and mortar. I would have made the footnote and cross sell far larger, but still good of the physical store to reference the online operation. 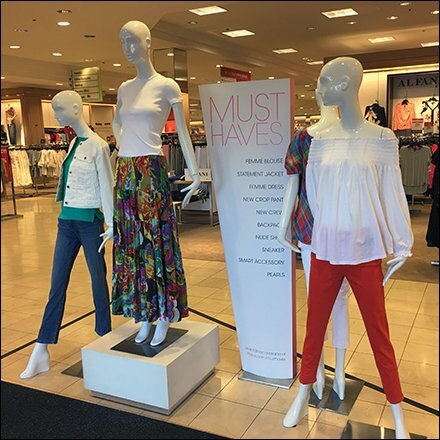 See more in the Must Haves Shopping List On Macy’s Online Online gallery of images.